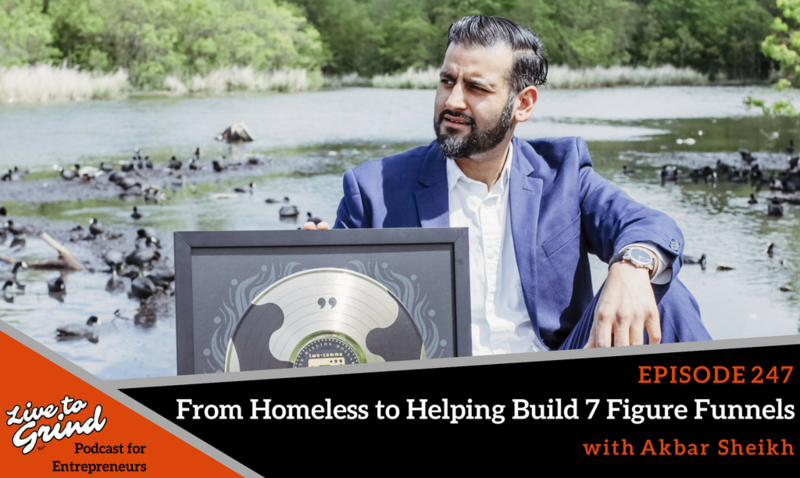 How did Akbar Sheikh go from homeless to seven-figure funnels? Akbar shows you how anything is possible as he talks sales, funnels, and business success. Tune in if you want to create KILLER FUNNELS that generate MILLIONS OF DOLLARS in sales! – The challenges of finding fulfilling work that helps you grow as a person. – Why Akbar decided to sell everything and move to San Francisco to start anew. – How Akbar scales his small business sales to seven figures. – Why goal-setting and journaling is so important. – The importance of focusing on your strengths and outsourcing the rest to maximize your time. – A look at the concept of EPOP: Ethical Principles of Persuasion. – How to make connections with people and increase your conversion rate. – What a successful sales format looks like. – Why books can generate so much value if you implement reading towards action. – The importance of physical and mental health when it comes to running a successful business. – How an attitude of gratitude can help you to harness your mental power. – Akbar’s best advice for those looking to have success in business. Akbar Sheikh started out penniless as he ventured into the world of online marketing, rising to a top 2% earner in the 186 billion dollar industry within only twelve months. Akbar has built several million dollar funnels, as he figured out the steps to scale his business into 7-figures by harnessing the principles of ethical persuasion. Akbar is the CEO of akbarsheikh.com, where he helps others reach the the two-comma club of million dollar sales. His consulting services offer breakthrough business growth through effective funnels that scale to seven figures and beyond. Check out Akbar’s consulting services on his website. Snap Brandon @btadams18 – Tell him your ideas and he will snap you back!